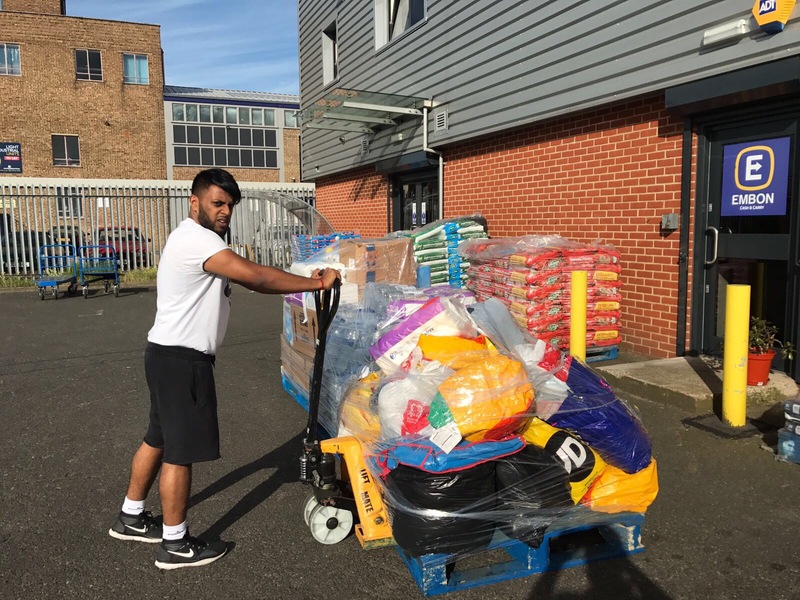 In the last week, I am sure all of you have heard and seen so much about the Grenfell Tower fire and the thousands of people that came together to help each other at a time of crisis. This blog isn’t to sing my praises or talk more about the fire and what happened but just to say thank you to a few people and my experience those 2 days. When I woke up on Wednesday morning on the 14th of June, I looked at my phone and saw a notification from BBC news. 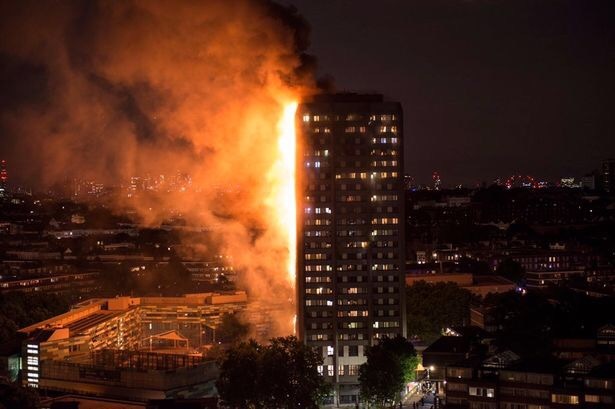 It briefly read, that there was a fire in West London and that it was very serious and when I opened the notification, I realised how serious the fire actually was. I’ll be honest, when I normally read something like this in the news, I read it and then feel sorry about the situation and then carry on with my day, thinking what can I do? Nothing! But this news, for some reason, did pierce me and felt like something sharp cutting through me. I felt uneasy and upset. In 2011, whilst my mum and my sister were in Germany visiting family and it was just me and my dad here, there was a fire in our house. Luckily, we were both not home but it happened around midnight and I came home to find the top half of my house on fire. If I was minutes late, I think I would have come back to nothing. As I was pulling up to my house, I realised that the house was on fire and I could see orange and red flames glaring through mine and my sisters bedroom. I stopped the car and ran towards the house, probably not a wise idea when I think about it now but I panicked and did not know what to do. In panic, I dialed 999 and the fire brigade were able to get to me in just under two minutes as there is a fire station a minute away from my house. The two minutes that I spent waiting for them felt like 200 years because there in front of me, I could see my family home falling apart. It was only when they arrived and one of fire fighters asked me, if there is anyone inside the house, I realised that I have not told my dad yet. I called him, stuttering and not knowing what to say. I mean, how do you tell someone their house is burning down. I don’t remember the exact conversation but I told him there has been an accident in the house, I am safe and the fire brigade are here and that he should come home. And so he did. I think in that time, all we could both think about was thank God neither of us were inside, and by God’s grace we were both out that night and not home when it happened, because it was midnight and we both could have been inside asleep. The fire brigade were doing their job and a part of me was feeling very anxious to find out how the fire had started, as I had fully convinced myself that I had left the hair straighteners on. After hours of standing outside and waiting for someone to tell us something, one of the fire fighters informed me and my dad that the fire had started in my parents bedroom, and that it was from a light in one of the wardrobes. There was a short in the wiring and this lead to the lights turning on automatically and starting a fire. After that night was over, everything else seemed to be moving in slow motion. Me and my dad moved into our aunts house for a few nights, my mum and sister came back to no house, all our belongings had been destroyed, and the next 10 months we spent living in a hotel, thanks to our aunt who dealt with the insurance company and literally took charge and helped us so much for which I am eternally grateful for and for everything she has done for me and my family during that time. At the end of 2011 our house was refurbished and we were able to move back in. I know that the fire in my house is not even minutely close to the Grenfell Tower fire. None of us lost our lives thankfully but when I read the news, I did relate to it, as I can understand what someone may have been feeling and it made me remember the fire in my house. I wanted to help but just didn’t know how. A few hours later, I came across a post on instagram, asking people for emergency donations. They were requesting for food, drinks, clothes and anything that would be beneficial. After seeing the post, I thought the least I could is drop some stuff off in the evening to one of the drop off points listed. I then rang my friend and was telling him about the fire and mentioned that I was going to go and drop the donations off in the evening. It was after that phone call, that a small donation turned into a bigger donation and by the end of the evening, we had hundreds of donations from all over London. My friend called his friends and within a few hours of the morning, we had 3 drop off points across London. One in Mitcham, South London, one in Finchley, North London, and the last one in Oxted, I don’t even know where that is, and by the end of the night, my sister managed to arrange another drop off point in Harrow at Elmfield Church. It was just gone 7 pm, and people were calling and dropping off things at various drop off points. We did not expect such a big turn out in so little time and people were responding so well and being very generous and helpful. 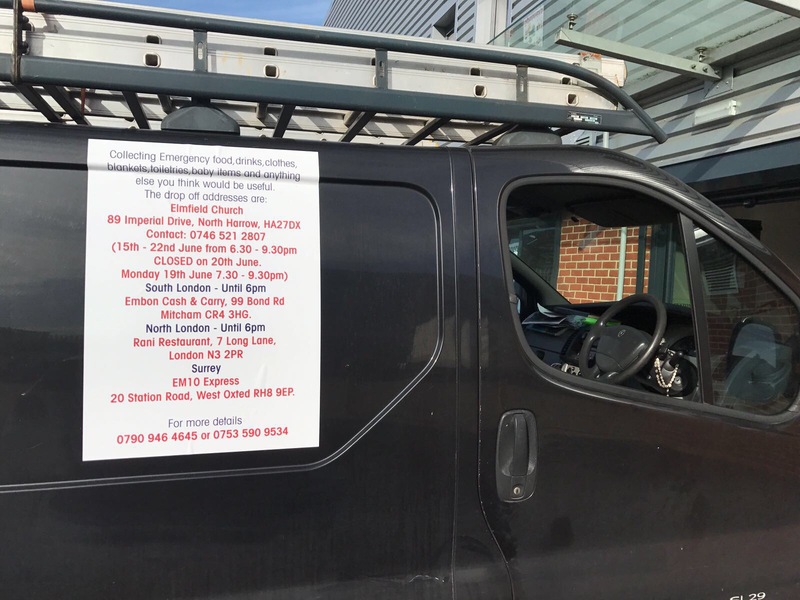 We even had people calling us to let us know they had spare rooms in their homes and that if we knew any victims then we could inform them of these places. Together me, my sister, my friend, his friends, my sisters friends were all helping to get these donations moved as quickly and as efficiently as possible and we did. 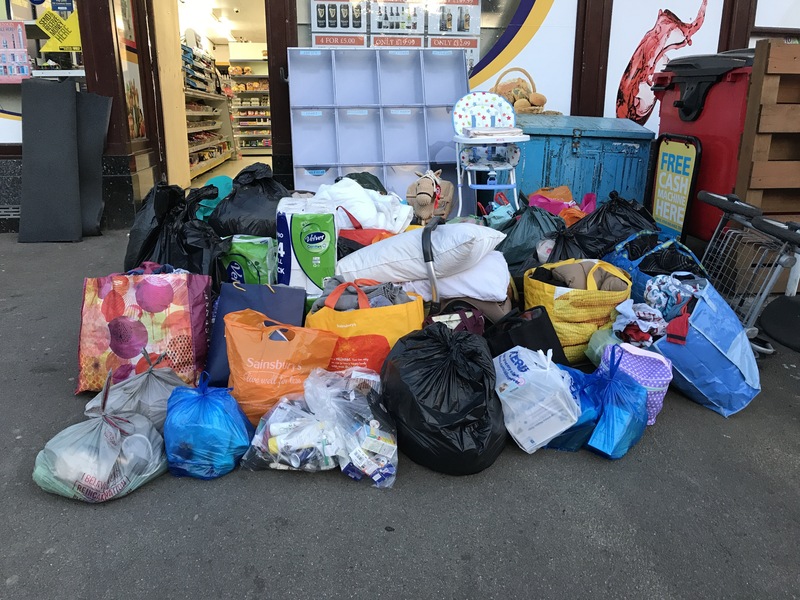 Me and my friend drove to Oxted to collect the donations and when we arrived there, the shop was half filled with donations and in the end we had to drop everything off using two vans to a community centre that was taking the donations. 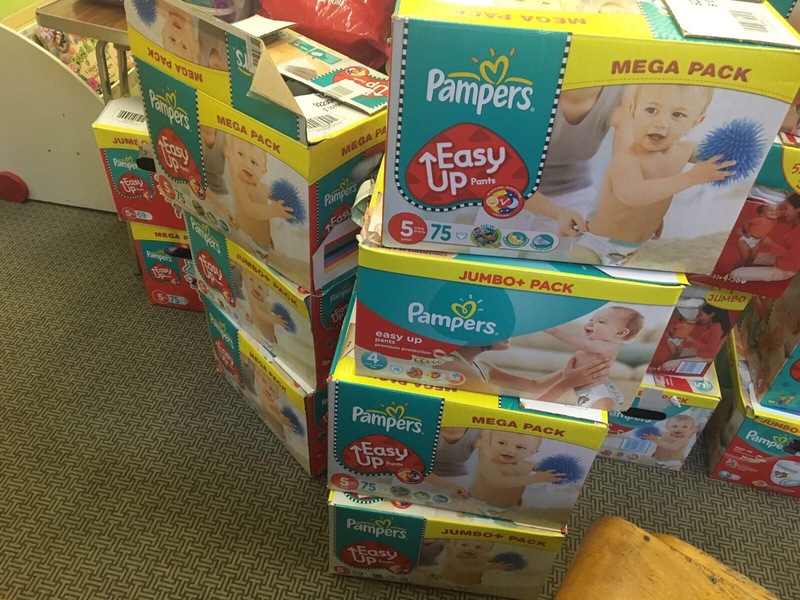 Meanwhile my sister and her friends dropped off the donations that they had received to a local community centre too that was collecting these donations. 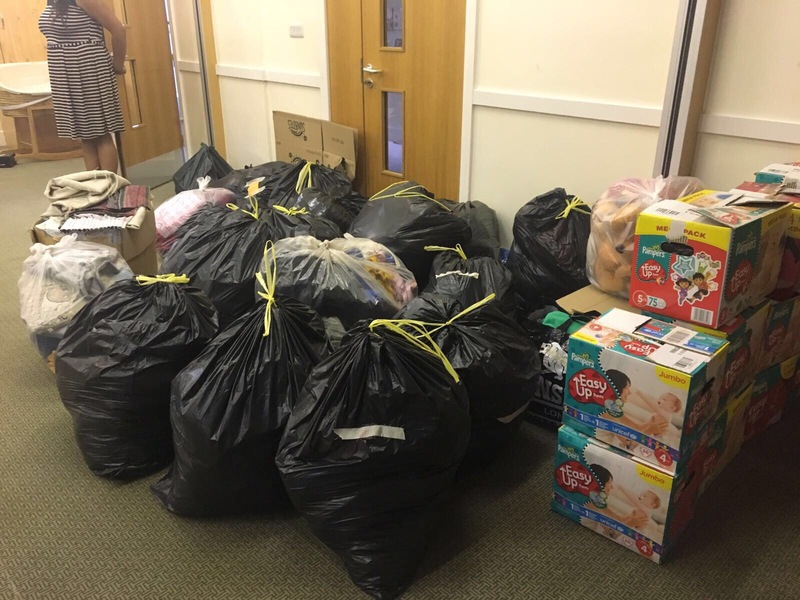 By midnight we managed to drop off everything we had and there was still more waiting to be collected from our North and South London drop off points. But as a team we were happy with what we had accomplished so far. 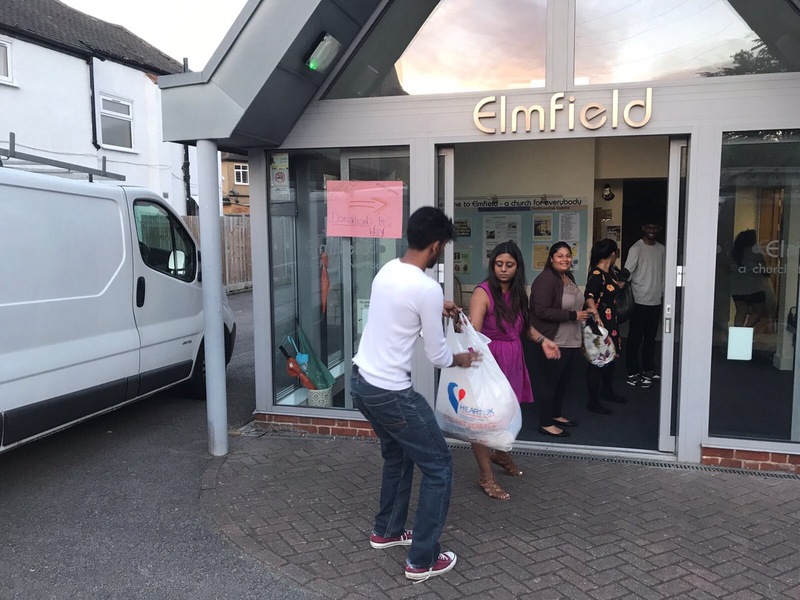 The following day, the remaining items were dropped off from Mitcham and Finchley and all brought down to Elmfield Church in Harrow. Even after giving majority of the donations we had the night before, people were still being generous and dropping of more things. 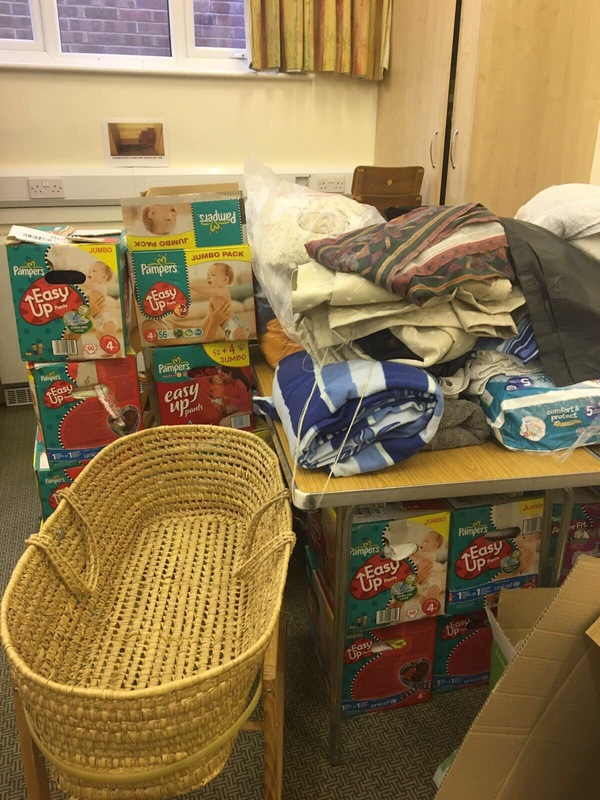 The church room was packed with things, such as food, drinks, bags and bags of clothing, baby food, nappies, prams and cots, the list can go on. 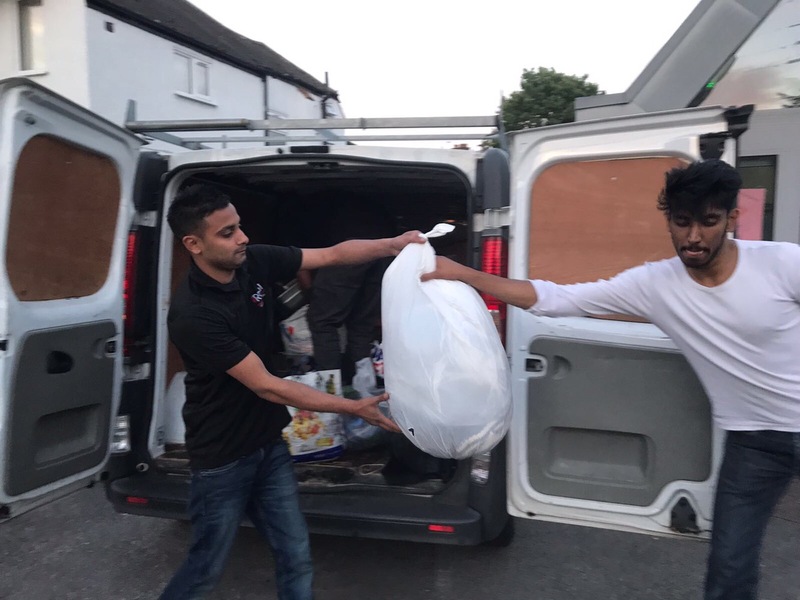 My mum, cousins and all our friends who came to help us on Thursday, were so overwhelmed by everything that was going on and together we managed to sort out all the donations so that they were all ready to be delivered to various places. 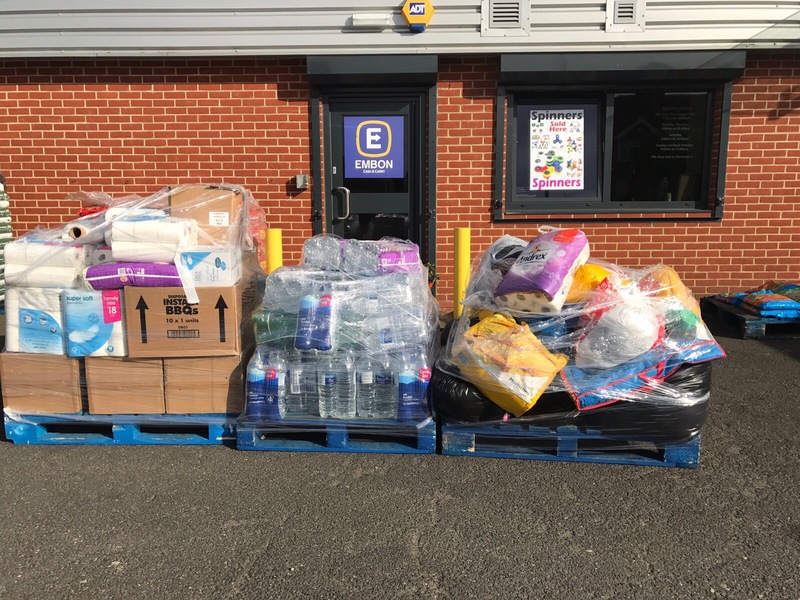 We did hear that the donation centres were all so full and they were asking people to temporarily stop bringing donations but by this point we had collected so many things and wanted to make sure it was going somewhere useful. And I know when the fire in my house happened how I felt without my belongings and so I hope this helps someone else at least for the time being. The 2 days that we spent doing all this and helping will never be forgotten. In light of all the bad that had happened, it was so refreshing to see people be there for each other in a time of need. It was beautiful to see all communities come together and help one another regardless of what race or religion they were from. I personally felt thankful for everyone’s contribution and help in those 2 days. Even after work, university, family commitments and everything else, people found time to come and do their part. No words and donations can bring back the lives that were lost in the fire but I hope it will at least help solve a tiny part of their problems by not having to think about food, or water for the time being. I want to say a big thank you to the following people who made those two days happen and without their help, there wouldn’t be so many donations. 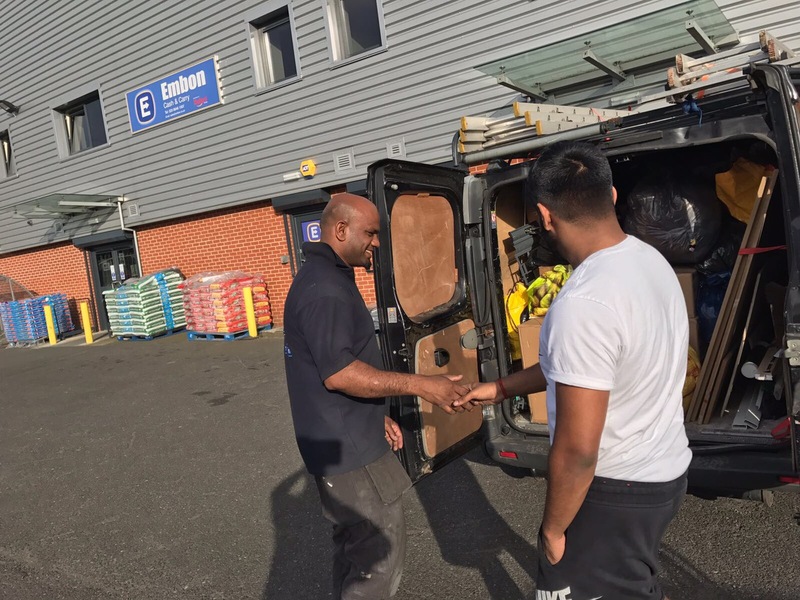 So thank you Rani Restaurant in Finchley, Embon Cash and Carry in Mitcham, EM10 Express, in Oxted , Elmfield Church in North Harrow, Sainsbury’s, my sister, my mum, my dad, my cousins, my friend, his friends, and my sisters friends for putting in 100% and helping out at a time like this. I learnt that alone I could have done little but TOGETHER we did so much. There is no I in Team! And this team was definitely a dream Team. And finally a massive thank you to every single person that donated something and was also part of this journey. 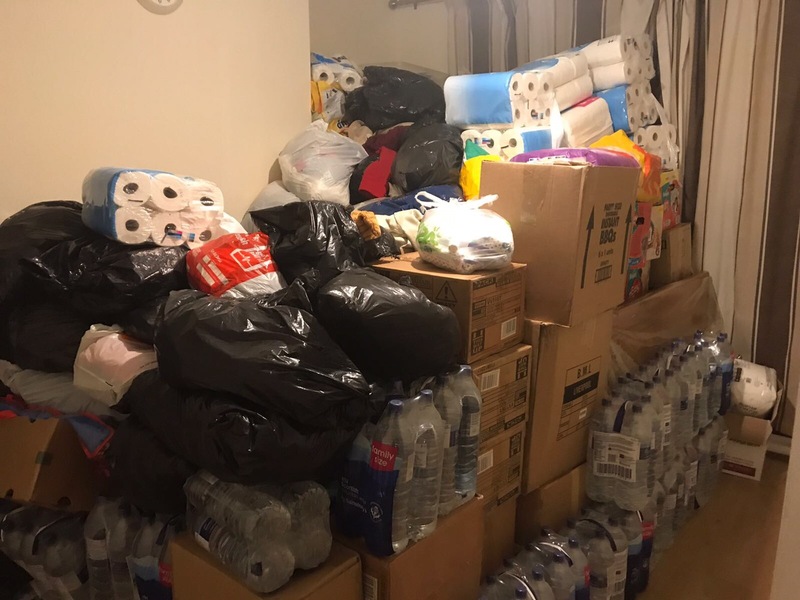 I know there were a million other donations given but I am proud of what we accomplished in those two days, and the little part we played in helping all these people. For me personally I have memories of those days that will last me a life time.